Mets general manager Omar Minaya is scheduled to be in Costa Rica this weekend to enjoy a little break from the everyday malaise of reading post after anxious post from Mets season ticket holders pleading for a big name free agent signing this off-season. To help justify or in some cases rationalize the large sums of money that they will most likely be plunking down this up-coming season, reports have surfaced placing thirty-one-year-old left fielder, Jason Bay, with the New York Mets for an agreed upon contract of four years at $66 million. This contract also includes a vesting option for a fifth and final year that will, in all likelihood, make Mr. Bay a very rich man. To some Mets fans, pitching wins championships, for others, it's how far you can hit the long ball. Jason Bay is a homerun hitter. He hit 36 of them playing for the Boston Red Sox last year. However, Bay's defensive skills are inadequate, that’s only if you place him in a ten by ten foot area ala the chunk of real estate that currently adorns Fenway Park’s Green Monster. If the Mets wanted a defensive specialist they would have smoothed out any lingering rough edges and signed former Mets outfielder, Mike Cameron. Bay was brought over here for one reason; he can hit the long ball. When I heard the breaking news on Tuesday concerning Bay, the one name that came to mind was Dave Kingman. Kingman, nicknamed King Kong, was brought back to the Mets in the early nineteen-eighties for that very same reason, to send Mr. Spalding over the fence enough times warranting asses in the Shea Stadium seats. In approximately five full seasons with the Mets, Kingman hit 154 of his career 442 jacks. 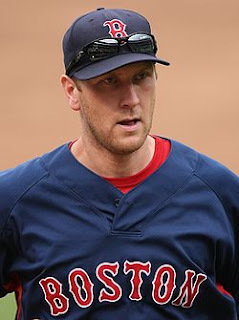 Jason Bay has averaged 30 home runs per season over the last six seasons. Pending any bad news regarding Bay’s shoulder after undergoing a physical, the Canadian-born slugger will be with the Mets in 2010 working hard to acquire the title of Citi Field’s first ever twenty-homerun-hitter.